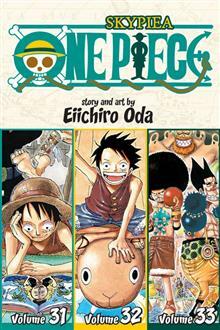 Follow the beginning of Luffy's search for the greatest treasure in the world... one guy alone in a rowboat, in search of the legendary "One Piece." 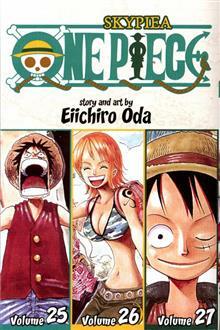 Three volumes of One Piece for the price of two! 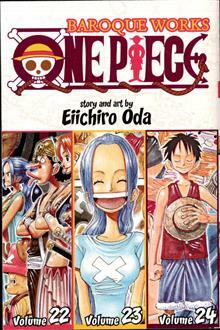 (Contains volumes 7,8,9). 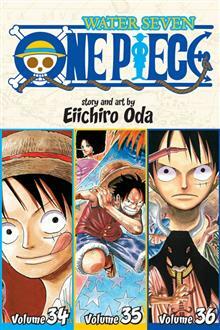 Follow the beginning of Luffy's search for the greatest treasure in the world... one guy alone in a rowboat, in search of the legendary "One Piece." 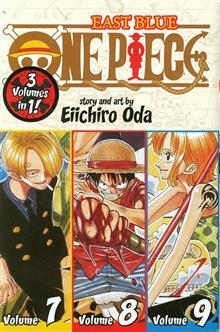 Three volumes of One Piece for the price of two! 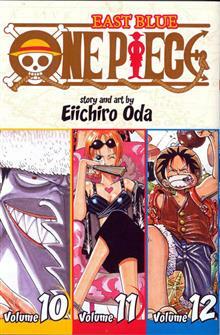 (Contains volumes 10,11,12). 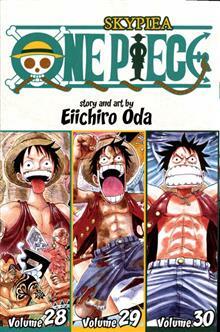 This 3-in-1 edition contains One Piece volumes 22, 23, and 24, including the exciting conclusion to the Baroque Works story arc!